Discover an evidence-based safety certification with an emphasis on how birth affects traditionally recommended oil use. Discover conservative application strategies in this unique-to-birth oils training that will certify you in the safe and effective use of the 10 best oils for birth. 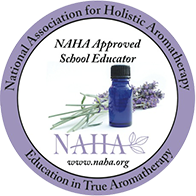 This course is intended to compliment and not replace an aromatherapy certification. However, this response has failed to protect birthworkers who believe simple compliance with mothers’ requests to ‘add a few drops of oil to a bath or toilet’ or ‘turn on my diffuser on the other side of the room’ will be ok, only to have all eyes on them when a major problem suddenly erupts. This ‘hands-off’ approach is also failing the mothers we serve who are having reactions in increasing numbers. We believe a more effective solution to these challenges in the birth community is training that matches the growing demands of increased oil use in birth. 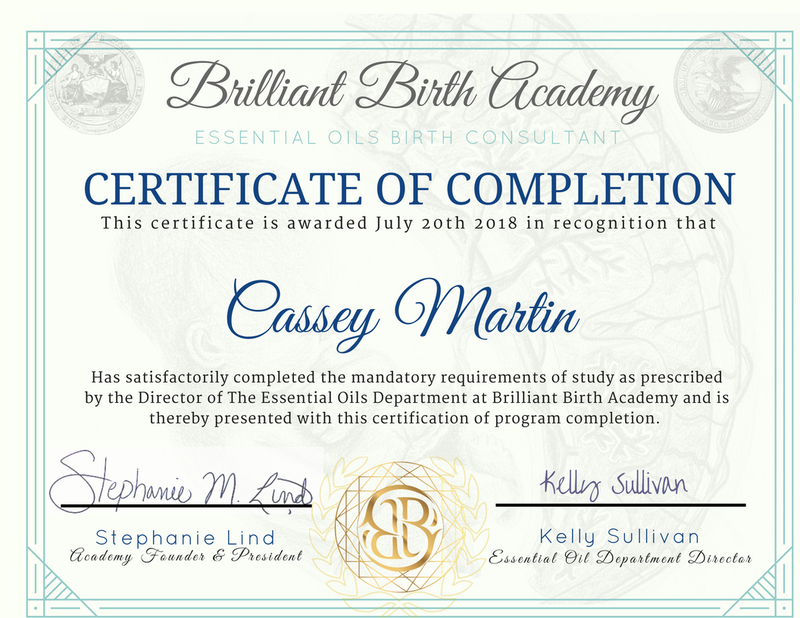 This new Certification from Brilliant Birth Academy builds on our academy’s acclaimed safety training by adding an evidence-based practice-focused curriculum that gives a comprehensive education on the best oils for birth that are applied according to our Academy’s unique therapeutic guidelines. Experience our premier safety training courses which distill an enormous volume of evidence-based research into laser-focused application strategies curated just for birthworkers. We’re committed to increasing safety knowledge and reducing adverse reactions in birth. You should never excessively layer multiple different oils during labor; the number of oils (even in a long birth) should be limited. This natural restriction enables students to gain a professional level of confidence in the masterful application of the ten best oils for birth. The therapeutic range of safe and effective oil use in birth should be more conservative than traditional aromatherapy recommendations. Recieve your oils education for birth from a trusted institution that specializes in oils for birth! Gain a thorough understanding of how essential oils work therapeutically, the underlying science that supports their evidence-based application, how to perform clinical intake assessments, develop integrative plans of care during birth, and use individualized therapeutic blends to integrate aromatherapy in a home birth practice or clinical setting. Aromatherapy is a relationship in which the chemical intelligence of a plant’s constituent molecules interact with the multidimensional human body at a cellular, biochemical, emotional, and spiritual level. Aromatic plant essences from every corner of the global village are now are now accessible to empower, rejuvenate, focus, inspire, and soothe mothers in birth. Increasingly mothers who value natural solutions, self-education, and freedom in health care choices are more likely to seek out midwifery and doula care—as well as oils—at their birth! This course is a response to that expanding consciousness and is curated for birth professionals who want to deepen their wisdom in the art and science of plant-based solutions for birth. Our essential oil training is more comprehensive than many level 1 accredited aromatherapy certification programs. Additionally, we teach (and advocate for) an altered therapeutic range of safe and effective oil use in birth that is unique to this program, and more conservative than traditional recommendations for important safety reasons. This course focuses exclusively on labor-specific application techniques with more than half of our training addressing the anatomy, physiology, somatic psychology, hormonal progression of labor, and many other topics not addressed in aromatherapy programs. 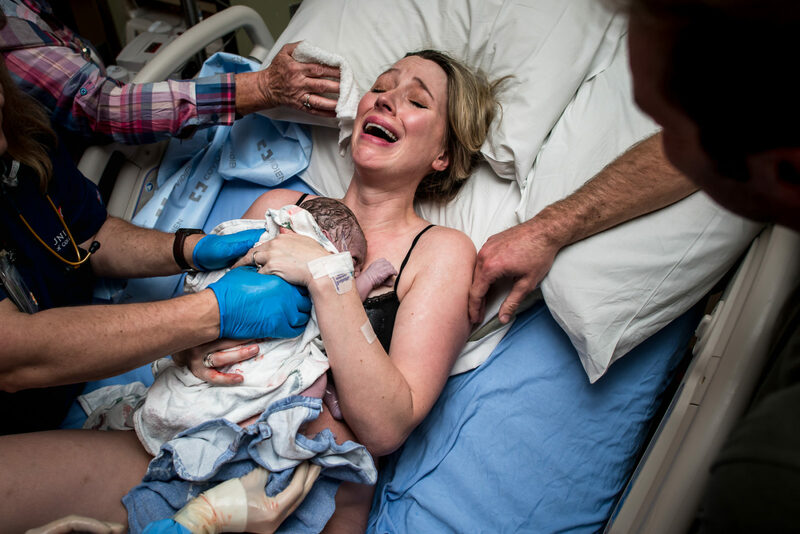 If you’re a birth professional, this course is curated for you. What are your program requirements for certification? What is the material of this course based on? Medical Aromatherapy: Healing with Essential Oils by Kurt Schnaubelt Ph.D.
See our full recommended source list here. Our medical sections (on labor progression disorders, newborn physiology, etc) have been sourced with the same standard as the rest of the academy: over 1000 medical journal articles, 250 books on birth, dozens of modern obstetric textbooks, and every single midwifery textbook published in English in the US, Canada, and the UK since the 1950s. What is the average length of study until certification completion? The course is designed as a 12-week course of study to be completed in under one hour per day with an average of less than five hours of work per week required. There are 27 lectures plus assignments and exams. Most of our students have full schedules with families and jobs. Our intensive timeline will stretch you, but will still be manageable with real-life responsibilities. The courses are dynamic. Some are focused on getting you to practice your new expertise with practical, project-based assignments. Some lectures include illustrated quick reference guides or curated textbook excepts, other lessons will look like a 10-minute video on an application strategy that ends with an assignment so you can act immediately on new insights instead of thinking “oh, I remember that presentation on dilution strategies…but none of the specifics…how do I do that…” The course is organized around completing oil-based assignment projects and learning from experience. Our completion rates are higher than industry standard and we value our student’s success– not just their initial payment. We’re here to help you succeed as quickly as possible! What deliverables do I actually get with this program? Lifetime accessto the Essential Oils Birth Consultant Certification online course plus guaranteed access to any future updates as the course develops and expands. Epic Bonuses including courses like Finishers Formula, Self Care for Birthworkers, Brilliant Branding, legal/contract swipe files, social media assets and more. A Brilliant Events Pass to all of Brilliant Birth Academy’s online events and summits. A 40% off Brilliant Insider Coupon Code to use on all future course purchases with us. Lifetime certification: no yearly fees here. Our continuing ed programs are voluntary, awesome, and free. What is the course experience like? Our multimedia classroom experience brings instruction into your home and delivers on your schedule. Learn from the academy founder, our course directors, and incredible guest speakers such as a labor and delivery nurse who does on-demand consults her hospital co-workers from obstetric doctors to heart surgeons with essential oils with astounding results! How is this course different from an aromatherapy certification? Some level 1 accredited aromatherapy certifications cover less credible information than an MLM presentation (though participants usually spend a lot less by the time it’s finished! However the level of mastery taught in other aromatherapy certificates is amazing; we honor their investment and do not claim to be a training of that depth. Many certified aromatherapists have studied botanical product development theory and practice as well as essential oil production methods and extraction processes with a sensitivity to environmental considerations and ethical nutraceutical creation and distribution. They’ve studied the how essential oils are created in plants, types of essential oil glands and the functions of essential oils in the plant which informs their application. They are able find, analyze, and interpret scientific literature, understand research methodology, are aware of study limitations, types and approaches including the relevancy of animal research and the relevancy of research on individual oil constituents so they can apply professional/critical interpretation methods on a wide range of health conditions. They use advanced botanical science to evaluate various extraction processes and can produce essential oils from plant matter and assess existing products on the market for safety and quality. Before professionally recommending oils, they have advanced, hard-science training in botany and phytochemistry, aromachemistry, botanical taxonomy, pathophysiology, and psychoneuroimmunology. They understand the specifics of oil distribution and metabolism including limonene and fat distribution as well as the routes of excretion and how long elimination takes. They can create master blends using culturally diverse blending theories for therapeutics, perfumery, and perform psycho-emotional/spiritual blending. They can formulate the full spectrum of aromatherapeutic products such as skin care, eco-friendly household, spa, and therapeutic products with legally compliant labeling. They are suitably trained in internal consumption. They have an in depth understanding of anatomy & physiology studied for a body systems approach to essential oil administration including an advanced understanding of the Circulatory, Musculoskeletal, Digestive, Nervous, Endocrine, Olfactory, Integumentary, Respiratory, Reproductive, and Lymphatic Systems. All these and more topics have informed this course, though they are not individually taught in-depth. This course is infused with aromatic theory while being laser focused on safe application strategies curated and condensed for birth professionals. Do you encourage oil use by birth professionals who are not aromatherapists? While essentials have been recognized by multiple national institutions as being generally recognized as safe substances, you should not take this certification course if you are a doula from one of the certifying agencies that controls essential oils use without an aromatherapy certification. If that’s you, our safety certification would likely be a better fit. You’ll learn strategies that are valuable to any doula who does not use essential oils but has clients who do. How is this course different from your previous free essential oils course? Our course has been re-imagined from the ground up in response to a six month-long field research initiative we conducted on oil use in birth among birth professionals and mothers. The new course is a paid certification course that features technology and branding upgrades, assignments, assessments, and non-affiliated oil recommendations. The content presentation features much shorter videos, and more downloaded resources. Our production team has made 11 courses since our first production (the oils course) and we’ve improved quality standards significantly since then. While approximately 40% of the material is the same, it has all been re-mastered for a fresh experience. I’m already an aromatherapist. Would this course have value for me? We hope so! 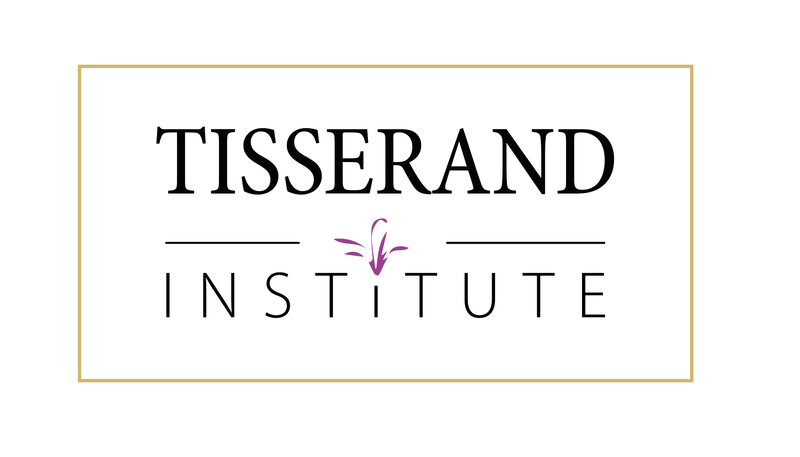 We recognize how comprehensive many of you have been trained, however this course addresses birth specific information not covered in aromatherapy courses; information on how essential oils interact with the hormonal progression of labor, the physiological transition of the newborn and how that must be specifically protected in an aromatic birth space, and labor progression patterns that inform oil use. We’ve designed the course with you in mind: the material on fundamentals is mostly separated from the birth-specific material that would likely be new and valuable to you so that you can easily skip the basics. Download the course catalog which is there to help make a quick and clear decision! Or if you’d like to preview the course, you’re welcome to explore our free preview or even to purchase the course relying on our full refund guarantee. We hope you’ll join, find value, and contribute your insights to our community discussions. Thank you for supporting the vision of Brilliant Birth Academy to increase safe and effective oil use in birth! All transactions are secure and refundable for 30 days. The three main reasons adverse reactions happen including the ‘wild card’ issue we obsessively train for at this academy. The signs & symptoms of the two types of adverse reactions; these may present similarly but require different first aid strategies—this is a must know. Evidence-based professional guidelines for essential oil first-aid by the different routes of exposure—full master classes and reference PDFs for easy reference. You’re welcome. Spread the word. 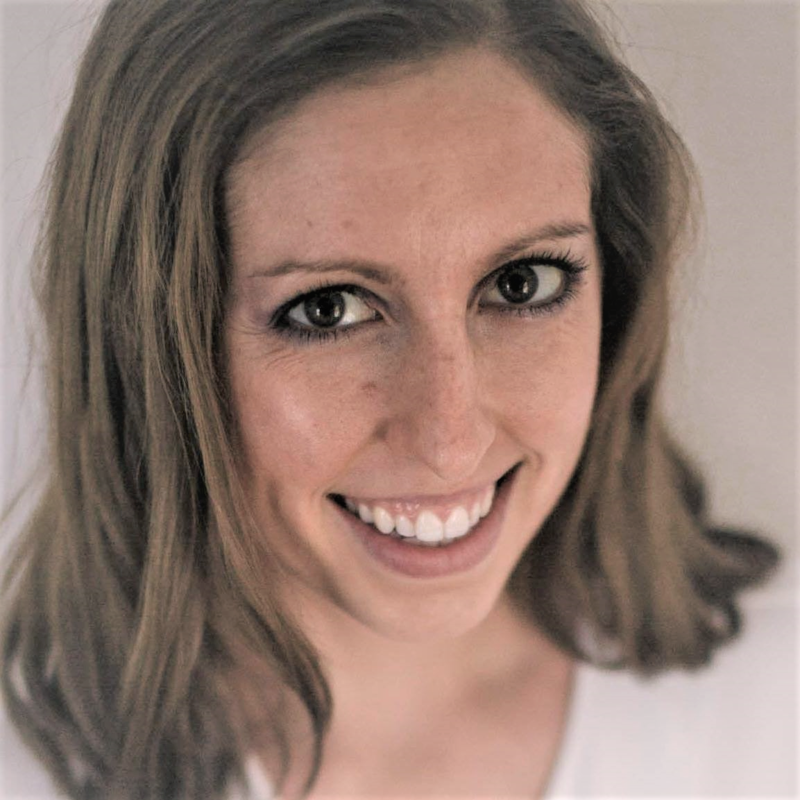 What you really need to know about oils in birth: the physiological mechanics of birth and maternal anatomy that inform oil application strategies plus learn how to align oil use with the natural hormonal progression of labor. How to be articulate and confident explaining the science behind the results of your oils recommendations so that you’re not left stammering by any client ‘why’ questions. BONUS: Use our done-for-you scripts to best communicate the art, science & bioenergetics of essential oil therapy. The stages and phases of labor and their clinical indicators; how to anticipate essential oil use for common symptoms (see above). The signs of precipitous, protracted, & stalled labor, the six causes of dystocia and how to naturally support abnormal labor symptoms with oils. Masterful knowledge of the top ten oils recommended for birth including usage strategies, safety precautions, and oil property information. The surprisingly simple mindset shift that will enable you to be completely natural and at ease in money conversations; learn how to handle those ‘closing the deal’ discussions that are key to establishing positive and strong client relationships. Learn professional charting of maternal essential oil use so that you can collaborate with primary care-providers that often have varying documentation requirements; this will be vital to your reputation. The exact questions to ask in your client intake form that will ensure you have all the information you need for professional-grade recommendations. Plus get our exclusive (and beautifully designed) client intake form and full training on how to run an initial client meeting in order to provide a exceptional service experience. Get our multi-media marketing materials, legal contracts, and other valuable professional assets. Download our courses’ full length learning objective statement here. Research interviews and our analysis of adverse reaction reporting in birth suggest that adverse reactions are more common in birth even for experienced oil users. Our premier safety trainings are a valuable resource to the birth community, our certification program enables all of our advocacy work and community training. The therapeutic range of safe and effective oil use in birth should be more conservative than traditional standards. 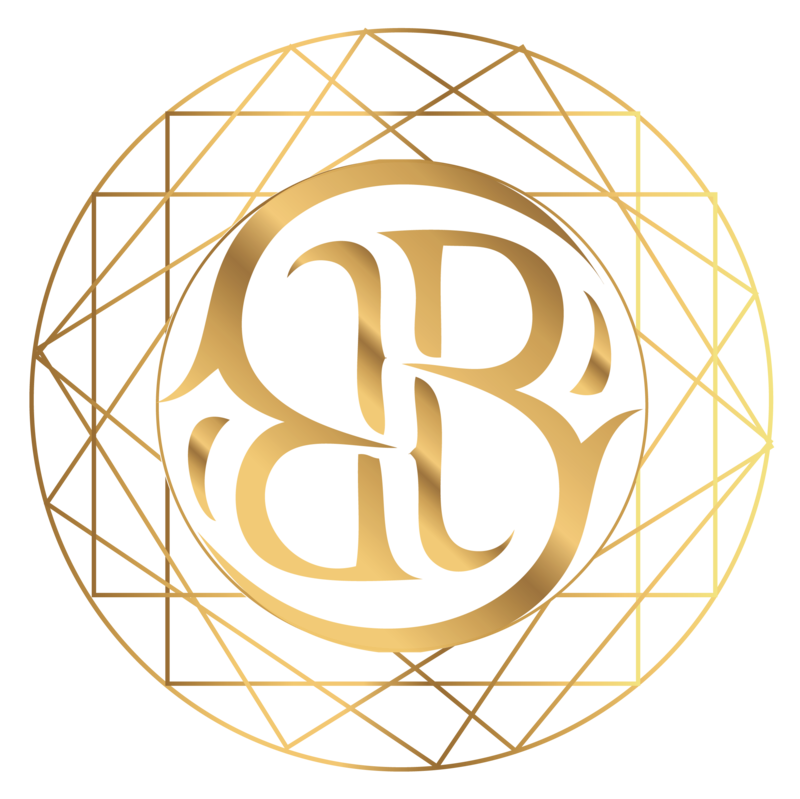 Join the #brilliantoilspecrum movement with Brilliant Birth Academy. 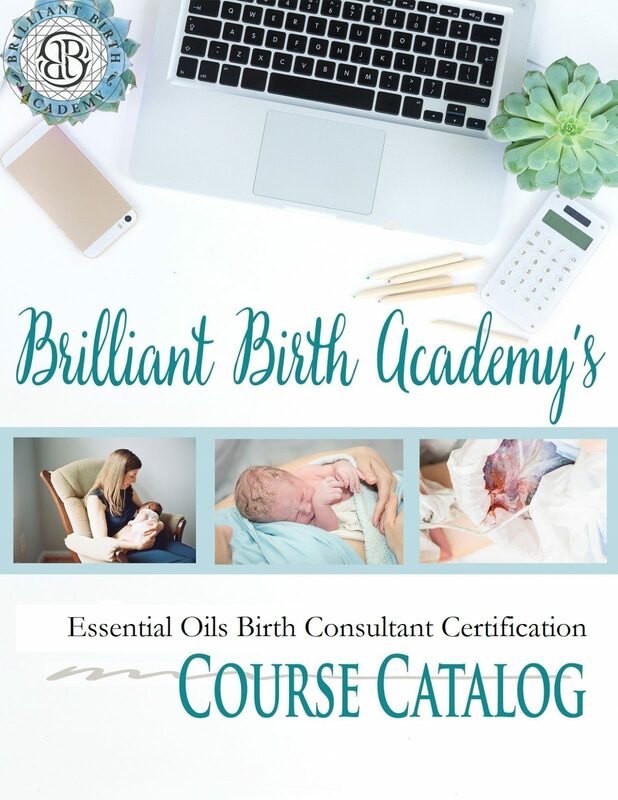 Designed to be a bridge between personal study and aromatherapy certification, this unique-to-birth course will certify you in an effective use of a limited range of the best oils for birth. We love making oils education accessible to all. Use this option for our flexible payment option: 3 monthly payments of $109.00 dollars so you can invest into your training incrementally.